Will 2017 Court Decisions Affect Your Workers Compensation Case? When you get hurt at work, you suddenly find yourself in the middle of a workers compensation claim. There are certain rules that will apply to determine whether you get workers compensation benefits or not. This article will discuss how the Georgia Supreme Court and Georgia Court of Appeals establish rules when they decide workers compensation cases. I will focus on a few cases that those courts have decided in 2017 that could affect you if you have suffered an injury at work. Can my employer blame me for my injury and then refuse to pay workers compensation benefits? Georgia workers compensation is supposed to be a no fault system. Basically, that means that it does not matter whose fault it is that you get hurt. You receive workers compensation benefits when you suffer an injury at work, even if the injury is your fault. But, some actions on your part can prevent you from receiving workers compensation. Those types of actions are known as “willful misconduct”. In 2017, the Georgia Supreme Court decided a case about willful misconduct called Chandler Telecom, LLC v. Burdette. The case involved an employee who was not careful enough coming down from a cell phone tower. Some employers and insurance companies will probably try to use this case to avoid paying workers compensation benefits. If your employer or insurance company denies your workers compensation case because they claim you engaged in willful misconduct, be sure and read this article that discusses what they have to prove in more detail. 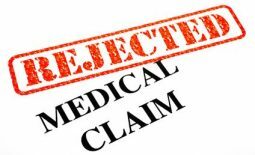 Are aggravations of preexisting conditions treated differently than other workers compensation injuries? Many people suffer work injuries to parts of their bodies that they have injured in the past. Many times, these types of workers compensation injuries are called aggravations of preexisting conditions. For the most part, aggravations of preexisting conditions are treated like any other injuries. But, there is one critical difference between aggravations and other injuries that a 2017 Supreme Court decision points out. An aggravation of a preexisting condition can resolve. Basically, this means that the aggravation goes away and the preexisting condition gets back to where it was before. The 2017 Supreme Court decision that discusses this is Ocmulgee EMC v. McDuffie. That decision reaffirms the idea that an aggravation injury goes away. If that happens, the person who suffered the work injury would not be entitled to any additional workers compensation benefits. The opinions of doctors are very important in determining whether an aggravation has resolved. Even if one doctor says that an aggravation injury has resolved, other doctors might have a different opinion. If you want to learn more about aggravation injuries, this article discusses them in more detail. What if my job requires me to travel and I suffer an injury while traveling? Many people have jobs that require them to travel. In the last year, Georgia courts decided two cases which discuss the rules for traveling employees. The specific facts matter a lot in these types of cases. In The Avrett Plumbing Company v. Castillo case, the Georgia Court of Appeals decided that an employee could not receive workers’ compensation benefits when he was injured on Sunday. They reached this decision because his job did not require him to stay in the city where he was working over the weekend. This decision could affect many people whose jobs require them to travel. Often, people will leave earlier than they absolutely have to in order to get to a particular location where they will be working. When they suffer an injury while traveling, will they be covered by workers’ compensation? 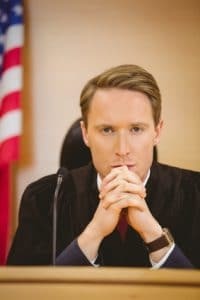 It is important to understand that Georgia courts have decided cases on traveling employees different ways depending on the facts of each case. The important lesson from these cases is that the facts matter a lot. You may not necessarily win your case just by showing that you are working at a different location. You may need more facts than that to show that your injury is covered under Georgia workers’ compensation law. How do these cases affect my workers compensation case? The workers compensation cases decided by the Georgia Supreme Court and Georgia Court of Appeals become part of Georgia’s workers’ compensation law. Georgia workers compensation judges will use the rules from these cases when they decide future cases. If you go to court about your case, the workers compensation judge will apply the rules from past court cases to your case. So, it is very important to understand the law to know how your case would likely turn out if you had to go to court. What should I do if I have other questions about these cases or other workers compensation rules? Understanding Georgia’s workers compensation law better will help you if you have a serious injury. I publish articles on our Perkins Law Talk blog on a weekly basis that discuss Georgia’s workers compensation laws. But, the specific facts of your case often matter a lot in deciding how these workers compensation rules will affect you. 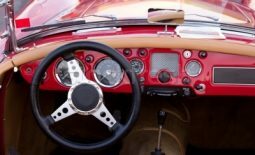 The best way to figure out how the rules apply to the specific facts of your case is to get a free consultation with an attorney that specializes in Georgia workers compensation law. I wrote an article that explains how a free consultation with me works in more detail. You may find it helpful to read if you have questions about how a free consultation would work. If you would like to schedule a free consultation with me, it is easy to do so. Just call our office at (770) 214-8885 or complete and submit the consultation request form. Everyone I worked with regarding my case showed great compassion and extensive knowledge. I am not only a satisfied client but I also was treated like part of the family.